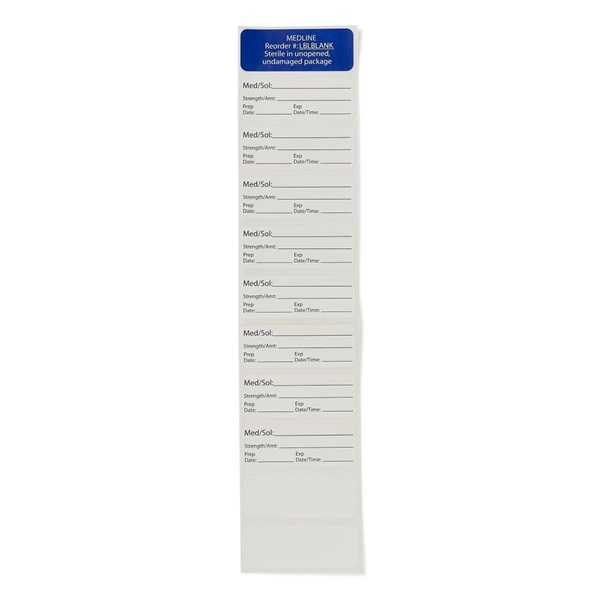 Sterile blank surgical labels come 10 labels per sheet. 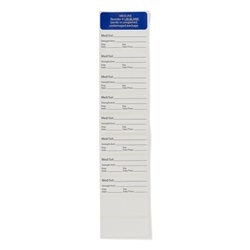 8 labels have the following fields: Med/Sol, Strength/Amt, Prep Date, and Exp Date/Time. At the bottom of each label strip are 2 blank labels. Manufactured by Medline. Comes 2000 per case.